On January 10, 2019 at 8:30 am - 12:00 pm, College of Film Performing arts and new media Open the house to welcome Grade 6 students to submit their portfolio and interview in the portfolio (Round 1). 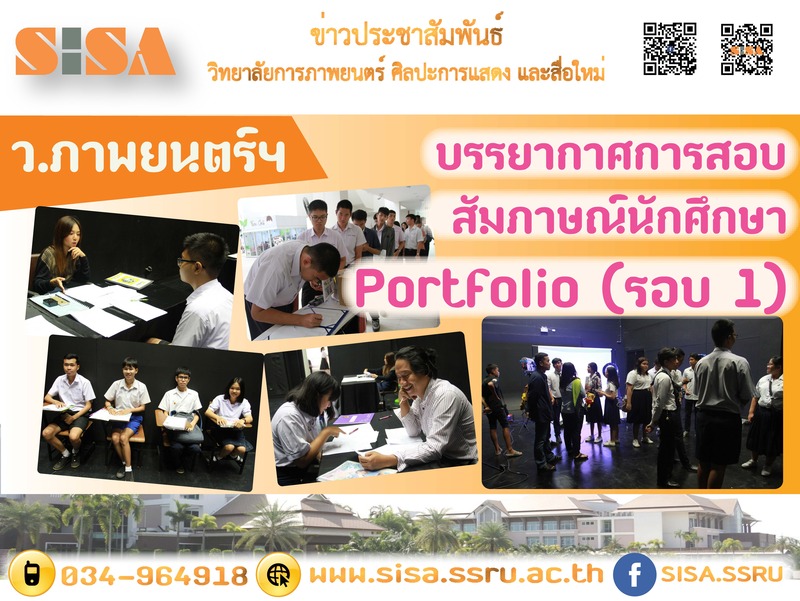 There are Prof. Siridet Sirisomboon as an interviewer in the field of digital and creative media. In the field of filmmaking at Studio 2, along with 1,2 year students to teach media skills and camera equipment for children Learning at the Photography Room, 1st floor.